• One bedroom with two beds, cupboard wooden dresser. • A large kitchen-hall with wooden ceilings. • Sofa bed and cot (if required, free). • fully furnished kitchen, refrigerator, toaster, blender, sandwich maker, coffee maker, Microwave. Satellite TV, electric radiator, iron and ironing board. • Garden with native plants. 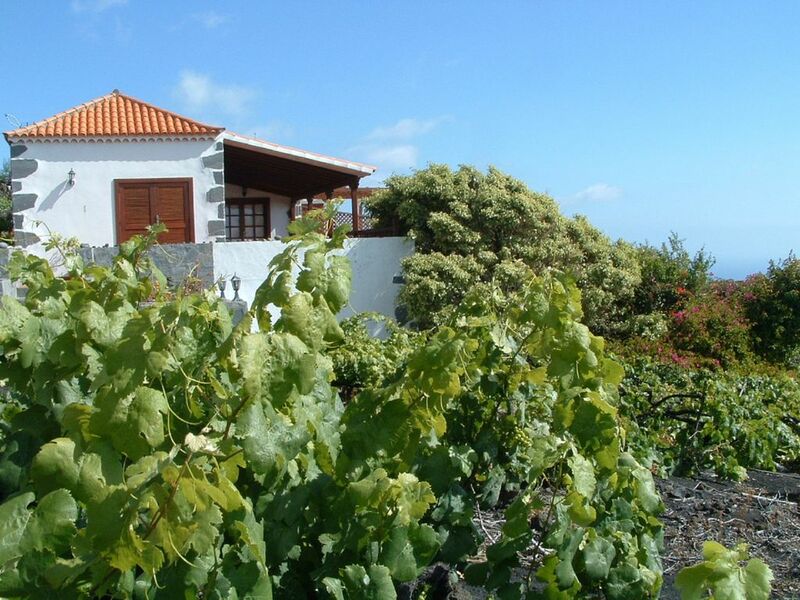 The house "The Vines" is very close to where the best wine of La Palma is harvested. This wine is called Malvasia, famous for its production and its deserved international fame. Volcanoes Teneguia and San Antonio are located approximately 2 km from the house the Vines. On the coast of Fuencaliente are several beaches, such as the Lighthouse of Fuencaliente with its salt marshes, beach Echentive where the famous Fuente Santa, Puntalarga and Zamora. The House of Tourism "Vines" is the ideal place to explore the island of La Palma accommodation. The location of this house is privileged, as they are in the countryside with sea and mountain. This house stands out for its tranquility (away from the maddening noise of cars and neighbors) and the good weather is in this area. It is located in the south of the island, along with some breathtaking scenery, where they allow you to be in touch with nature. This house is located in Fuencaliente (Los Quemados), nice people friendly and hospitable people with the visitor. The people of this town are dedicated to the cultivation of vines and banana.